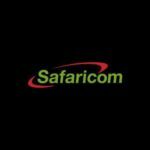 Safaricom in November 2014 launched a venture fund that invest in late seed to early growth stage support start-ups that use mobile technology as an enabler. The Fund is a venture capital fund that aims to support the successful development and growth of high potential mobile tech start-ups in Kenya through a combination of investment, business development support and technical assistance leveraging on Safaricom’s unique capabilities, assets and market positioning. The Total fund size will be USD 1 Million (~KSH 90 Million) that will be provided for a minority equity stake or as convertible debt to selected start-ups with an average ticket ranging between KES 6 Million – KES 22 Million. The start-ups will be identified, selected and provided with post investment support by the fund manager TBL Invest, a partner of Safaricom and upon completion of due diligence process be presented to the Investment Committee for funding consideration. The Investment committee consists of representatives of Safaricom Limited and TBL Invest. Following investment approval, the funds will be disbursed, where the fund manager will represent the fund in the start-ups board and will provide mentorship and support towards implementation of the agreed strategic plan. Sendy Limited - Let's Deliver! Busitema University in Uganda East Africa. Am requesting you to guide me on how to pursue the loan funding for the mining related projects. Am venturing into starting aggregate production project but the drawback is the capital finance to start up.